The DR-A1 Digital Abbe Refractometer can now be connected to a printer and computer. Individual measurements and their average values as well as temperature readings can be printed to a DP-63 (C) Digital Printer (sold separately) or transmitted to a computer. 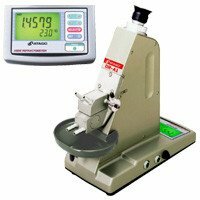 * Dispersive value cannot be measured by this refractometer.